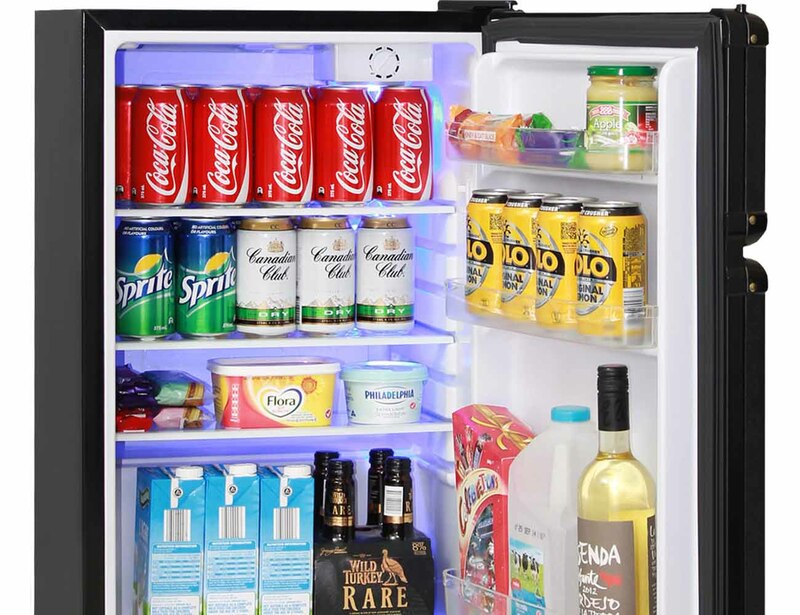 From the main stage to the man cave, the Marshall Fridge was born to rock. Featuring authentic Marshall Amp parts including logos, fret cloth, and a brass-finished faceplate, the ultimate combination of rock and refrigeration is finally here. 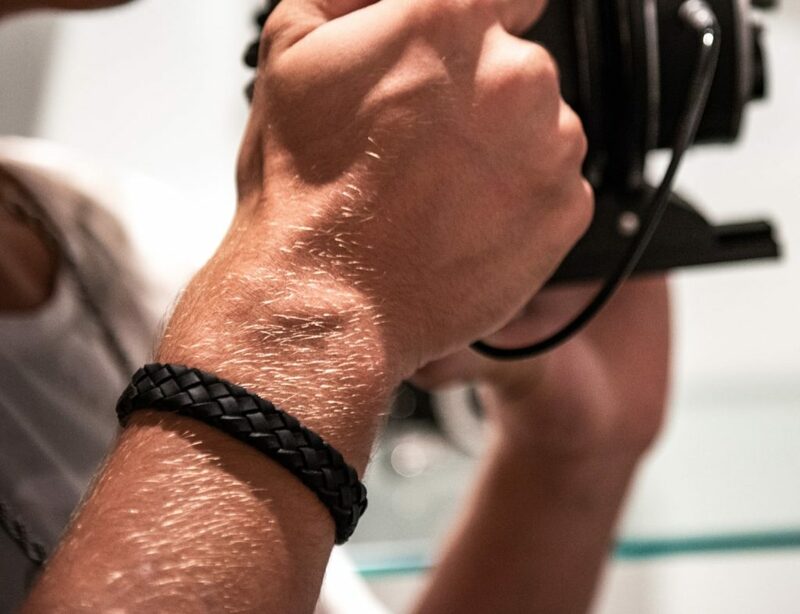 The fine detail on the mini fridge is synonymous with Marshall Amplification’s high quality workmanship. 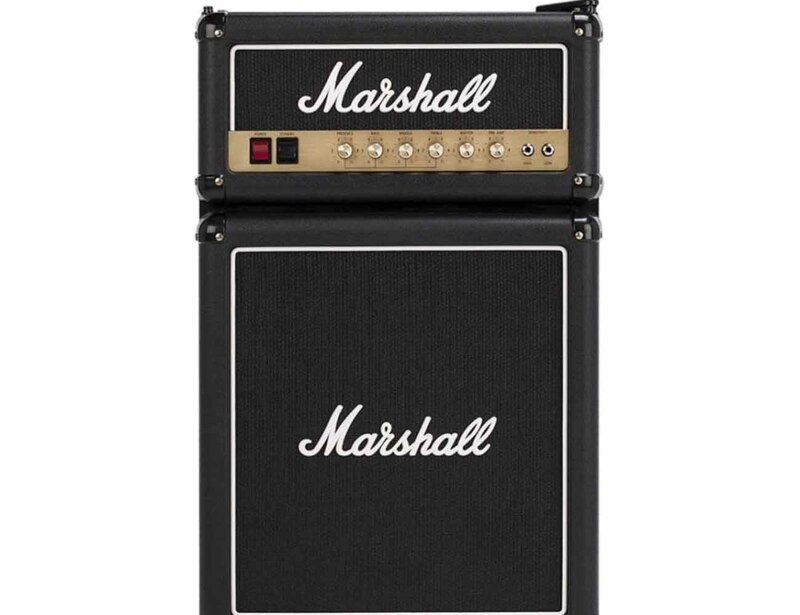 Complete with the genuine Marshall logos, infamous woven black fret cloth, Jim Marshall’s signature and control knobs that go to 11, the Marshall Fridge represents only the second time in history that the legendary brand has endowed its logo to something other than an Amplifier. The Marshall Fridge is a unique and innovative product that brings rock and roll history down from the stage and into the homes of fans around the world. 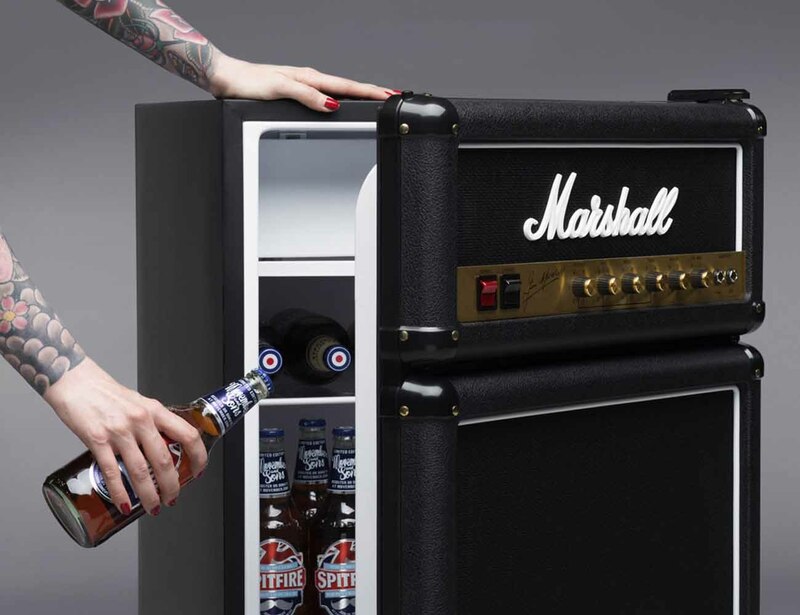 Combining the iconic look of the Marshall guitar amplifier with the practicality of a bar fridge, the Marshall Fridge maintains the same commitment to quality and dedication to cool that Jim Marshall, the Father of Loud, established half a century ago when he created his first signature amp. 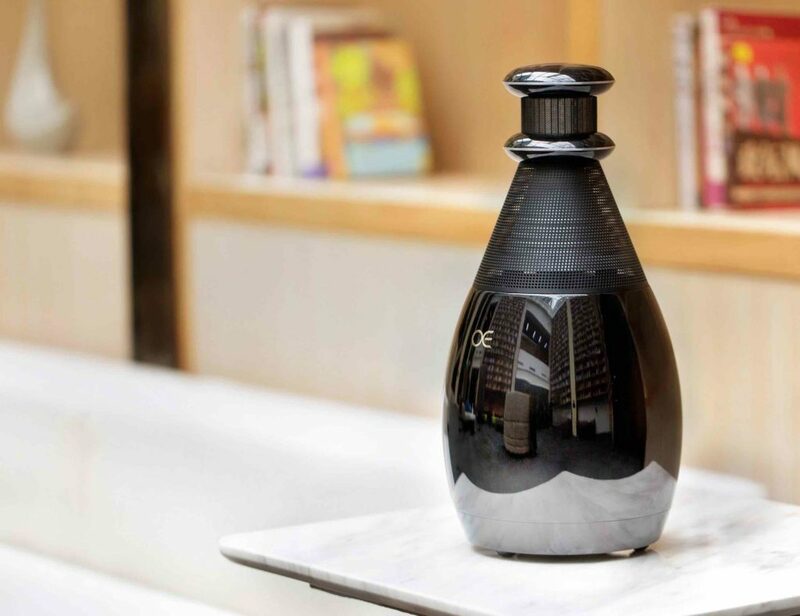 It’s a must-have piece of rock and roll history and one that music aficionados will be proud to showcase in their homes, caves, dens, garages or wherever else they like to relax with a cold drink.